There’s a lot of grumbling going around with wedding pros who have tried and failed to use Facebook Ads successfully. They pop into groups on Facebook and scare other business owners with horror stories of how their ads spent $300 in a day with zero results. 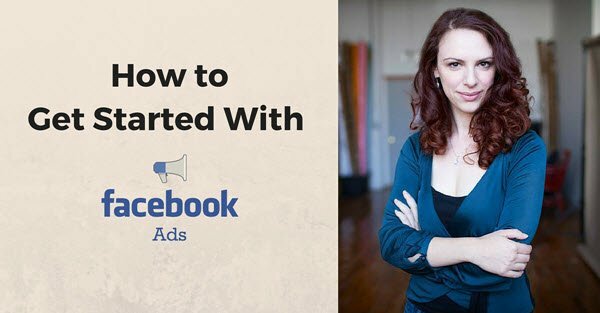 So what’s the real deal with Facebook Ads, and how can you make them work for you – or reboot your strategy if you’ve tried with less than stellar results? First let me day that, yes, if you approach Facebook Ads without a strategic customer-centric mind then you certainly can spend an alarming amount of money without many leads. Because we’re all advertising to get leads in the door and “butts in seats,” as the saying goes, right? The problem is when you launch a single ad to a cold audience with a call to action like “Book Now” and don’t understand why people aren’t banging down your doors to buy. A studio owner wanted to promote a Mother’s Day special that she was running. So she designed a lovely voucher that offered a free session to all mothers and daughters when they purchased $x amount of prints. She loaded this image up on her Facebook business page, linked it to a blog post that gave more details of her offer, and then boosted the post to women in her area who liked yoga and crossfit. When she posted in the group about how abysmal her results were, many group members responded with similar stories and concluded that Facebook Ads were simply a scam. So let’s briefly dissect the strategy from the above scenario, examine its parts and then talk about a strategy that might have worked instead – and that you can employ next time you’re ready to tackle Facebook Ads. The Mistake – The alignment of her target market, their need and her offer were way off. In the above example, the photographer is hitting a cold market of women who may not have heard of her and who have not indicated that they might be in the market for photography services, and the photographer is offering a deal for them if they book. When we look at the ad set-up from this perspective, it become a little clearer why there wasn’t a stellar response to her ad. In one sense there is nothing wrong with offering a booking deal to potential customers. After all, part of our job when advertising is to remove barriers to a potential customer’s finally saying “yes,” and a booking incentive is certainly one way to do that. However when offering a deal to a market that has no interest in your service or no need for your product, it’s impossible to remove the barriers to purchase because at the end of the day these people are not ready to be your customer. Let’s look at this example from the perspective of a wedding photographer. If a wedding photographer boosted a post to all women in a 50 mile radius from their studio, offering free engagement sessions when the audience members booked a wedding, and overlayed that same interest targeting to focus on women who liked yoga and crossfit, would the results have been any better? The Reboot – Target ads for engagement with your content BEFORE trying to book them. As you build your audience, both through paid ads and organic growth, you continue to post relevant tips, blog posts and inspiring content. You invite this audience to sign up for your email list. 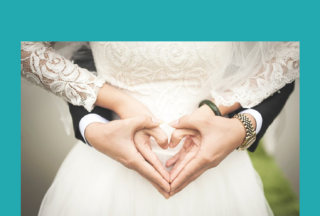 You send out relevant email newsletters with inspiring stories from past couples along with more helpful tips and inspiration. 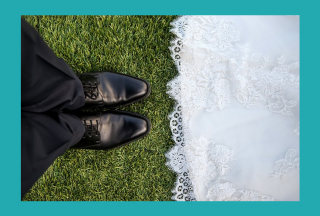 Then you serve up an ad to the Facebook audience that is already connected with your page, retargeting people who have visited your site, overlaying demographics like income (so that we know that they can afford to book you) and a life event such as getting engaged in the past six months. How do you think an ad like this would be responded to? The difference here is that you’ve built up brand recognition, as well as the know, like and trust factors with these potential customers. You’ve given them great value already by inspiring them, giving them tips and sending out a newsletter that they look forward to on a regular basis. Now when they see an opportunity to book with you at a special rate, or get an exclusive service, they are much more ready to jump at the opportunity! Does all of this cost more than simply boosting an ad every now and then? Perhaps, but let’s take that $300 amount we discussed previously. If we break it down to the return you get from a $300 ad that’s not timed well or targeted well, vs. $300 that is deployed in a strategic manner, the results will speak for themselves. To prove it, let’s just do a little math. In your first scenario you spent $300 to get zero results. So your return is zero. But, in the second scenario you spend $300 strategically in well-timed and well-targeted ads, and get 2 bookings for $2,000 wedding packages. So for spending $300, you’ve made $4,000. That’s an incredible return on investment! Rethink your Facebook Advertising strategy. What are the needs and questions that are arising for your potential customer? Where are they in their purchase/decision making cycle? How can you utilize ads on Facebook to help fill those needs before asking for the sale? Can you use “Like” ads to grow your audience for content that you’re sharing on your business page? Can you boost posts to increase the views on the most important content that you’re sharing on your page? Can you use website click ads or even lead ads to get your audience to subscribe to your newsletter? There are lots of possibilities here for your business to succeed on Facebook using ads. Now I would love to hear from you about how you’re now thinking of shifting or rebooting your strategy with your customer’s needs and their decision making cycle in mind!